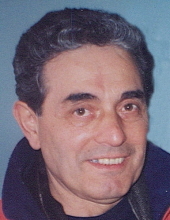 Peter J. LoFaro, 80, of Geddes, passed away Sunday, January 27, 2019 at The Centers at St. Camillus after a long battle with Alzheimer’s disease. Peter attended Vocational High School where he was the running back known as “Speedy Pete.” An Army veteran, he was a medical corpsman stationed in Germany. Peter worked as an agent for Metropolitan Life Insurance Co. before becoming a self-employed dry cleaner. He was an avid boxing fan and enjoyed riding his bicycle and exercising. Above all, Peter loved spending time with family and friends, especially his grandchildren. Peter was predeceased by his parents, Anthony and Grace; brothers, Carmen and John; and recently his beloved son, John. Surviving are his wife of 59 years, the former Terry Garofalo; daughter, Laurie Tynan; sister, Mary Ann (Bruno) Mafrici; sisters-in-law, Mary (John) Gassen and Rose LoFaro; grandsons, Matty and Nicholas Tynan; granddaughters, Grace, Maria and Nicole LoFaro; and several nieces and nephews. The family would like to thank the second floor staff at St. Camillus for their excellent care and compassion given to Peter. A funeral Mass was celebrated in Holy Family Church. In lieu of flowers, contributions may be made to the Alzheimer's Association of CNY, 441 W. Kirkpatrick St., Syracuse, NY 13204. To send flowers or a remembrance gift to the family of Peter J. LoFaro, please visit our Tribute Store. "Email Address" would like to share the life celebration of Peter J. LoFaro. Click on the "link" to go to share a favorite memory or leave a condolence message for the family.